Tsitsi Jaji is the English Department’s Spring 2019 Visiting Scholar. 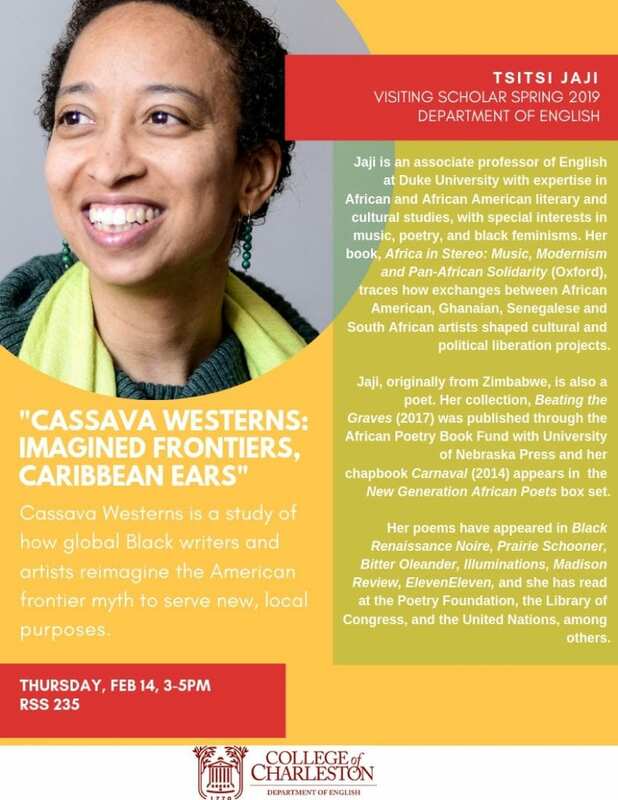 A critic in literature, film, and culture and a creative writer, Jaji’s talk will focus on her new project, Cassava Westerns: Refiguring the American Frontier Myth in Global Black Imaginaries. In this project, she examines the way writers, filmmakers and musicians of Africa and the Black Diaspora have critically engaged with tropes and mythologies of the U.S. West. Join us on February 14 at 3:00 in RSS 235 (google maps link) for her talk!